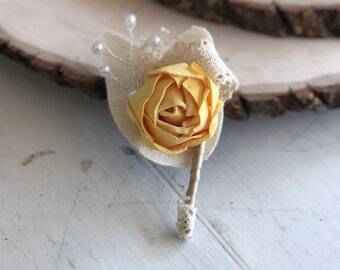 Make your dream wedding a dream come true with our Custom wooden flower corsage. 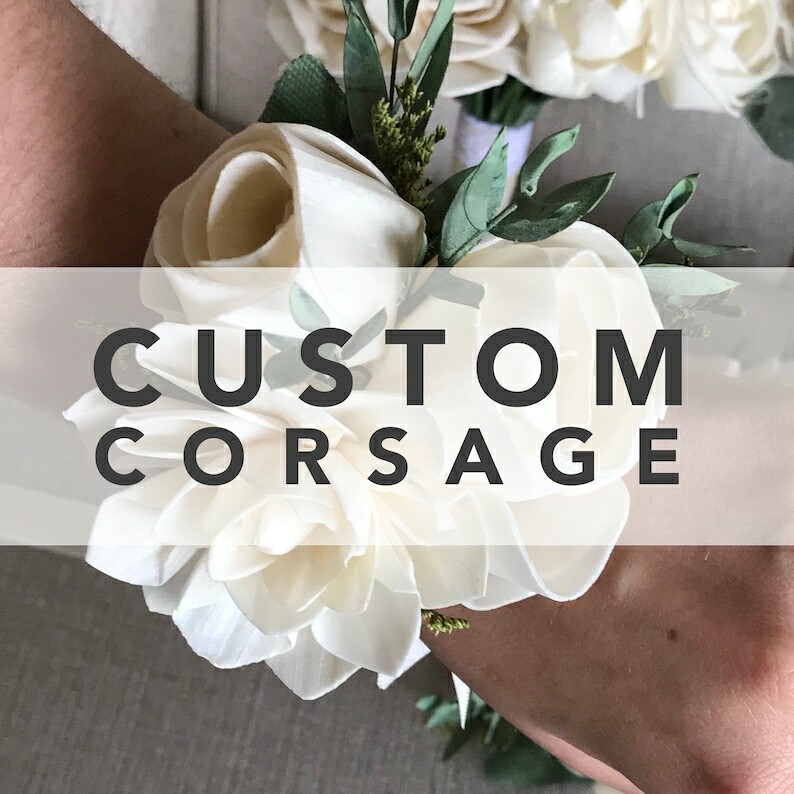 Note your flower color preferences (up to 3) and style in the notes to seller during checkout and we will send you photos of your corsage when it’s ready for your feedback. 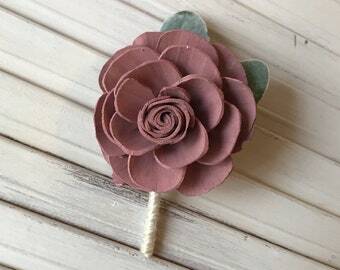 This natural wooden flower corsage (pin or wrist) has been handmade and hand-dyed to showcase a beautiful flower. 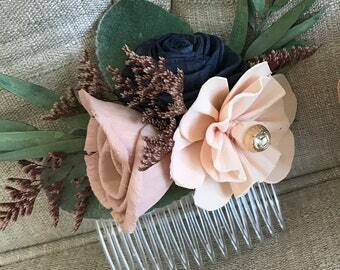 Made from assorted hand-dyed Sola Wood flowers, and accents complimenting your bouquet. If you would like alternate colors from our color palette, please select the options in the variations dropdown or add up to three colors in the notes to seller box during checkout. For dress color matching, select "Custom Color Match" and we will get you the details to mail us your swatch! 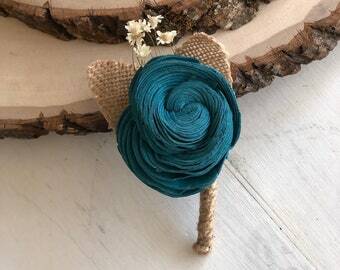 We want to make your bouquets beautiful accessories that highlight you! 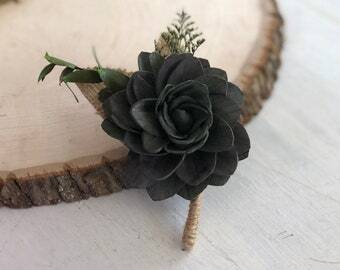 This beautiful corsage measures approximately 4" from the leaves to the flower. Flower size is approximately 2". Custom flower style is available upon request. Our bouquets are made to order, please check your receipt for the current processing time. Please message us if you have questions about your order and its shipping time. Photos reflect similar arrangements, but yours will be created when you order. 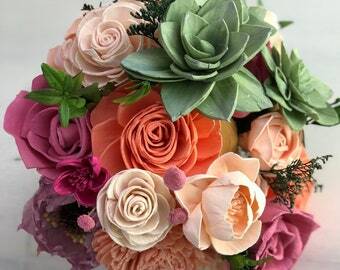 Please message Pine and Petal Weddings if you have questions or a custom project using these colors or this arrangement style. We welcome any creative ideas you would like to see come to life! My mom is going to love this corsage! I am so excited that I chose to go with these flowers so they can be kept forever. Fantastic job and I cant recommend pine and petal enough!